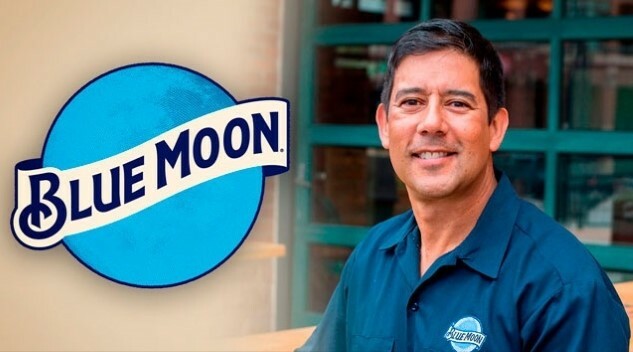 Back in January we reported that Keith Villa, the man who created Blue Moon during a 32-year career with MillerCoors, was finally stepping down from his position with the beer giant. At the time, it wasn’t clear exactly what the legendary beer industry figure had in mind for a post-Blue Moon career, but a new announcement shows that Villa will be headed in an unexpected direction: cannabis beer. Three months after his departure from the company where he created the industry’s #1 “crafty” beer brand, Villa has launched a new company called Ceria Beverages, which will focus on producing an entire line of non-alcoholic beers infused with cannabis. And we don’t mean in a purely gimmicky way, either—Villa’s beers are intended to be potent in terms of their THC content and sold in markets where recreational marijuana use has been legalized. In other words, these drinks are fully meant to get you high, just as smoking a joint would. Headquarters for the company will exist in the Denver suburb of Arvada, CO.
“CERIA will be brewed just like an alcoholic craft beer to maintain its beer taste and aroma, but will then be de-alcoholized prior to the infusion of cannabis,” Keith Villa said in a press release. Ceria Beverages aims to produce an entire line of different cannabis beers that come in a variety of strengths in terms of THC content, labeled as “light,” “regular” and “full-bodied.” These will vary from 1-15 milligrams of of THC per 12 oz bottle, and will be labeled with a visual system that labels whether the product is for “beginners,” “intermediate users,” “experienced users” and those seeking “the ultimate experience,” which seems like a somewhat irresponsible choice of words to us. Which brings us to the issue that no one is really discussing when it comes to this new company: What kind of non-alcoholic beers are they going to try and fuse these cannabis flavors and chemicals to? Is pale ale/IPA the traditional choice for pairing with the dank/fruitier qualities of certain marijuana strains? Is it possible to brew a decent non-alcoholic stout or porter, and does it makes sense to do so with the addition of cannabis? How adventurous will they try to be on the beer side of the equation? Should we expect Villa to recreate his past with a cannabis-infused Blue Moon knockoff, or will he be cranking out artisanal, non-alcoholic versions of Belgian quads and saisons that just so happen to contain THC? This is the most fascinating and strange aspect of the product line, as far as we’re concerned. There’s no concrete date as to when these products will begin to appear, but we can only assume that it will be a somewhat complicated process to get them to market as such a tightly regulated substance. It seems natural to assume that Ceria products will NOT be available in package stores, and will instead need to be purchased from certified dispensaries in Colorado. We’ll try to bring more updates in the future about where this whole cannabis beer business is heading.